Our curator, Shai Dahan, couldn´t resist the opportunity when we´ve got the chance to make Borås very first large scale mural. A 23×23 meters wall just by the highway. Shai started with the mural in late May and now, 200 litres of paint and about seven days later the piece is finished. Check out this video to see the making and how the finished mural came out. Shai Dahan, curator of No Limit Borås got big plans for another pre mural of No Limit. Today we met up with him for a short chat about his plans for the new, quite larger wall. Check out out little talk and be sure not to miss No Limit 4-7th of September in Borås, Sweden. See yah! 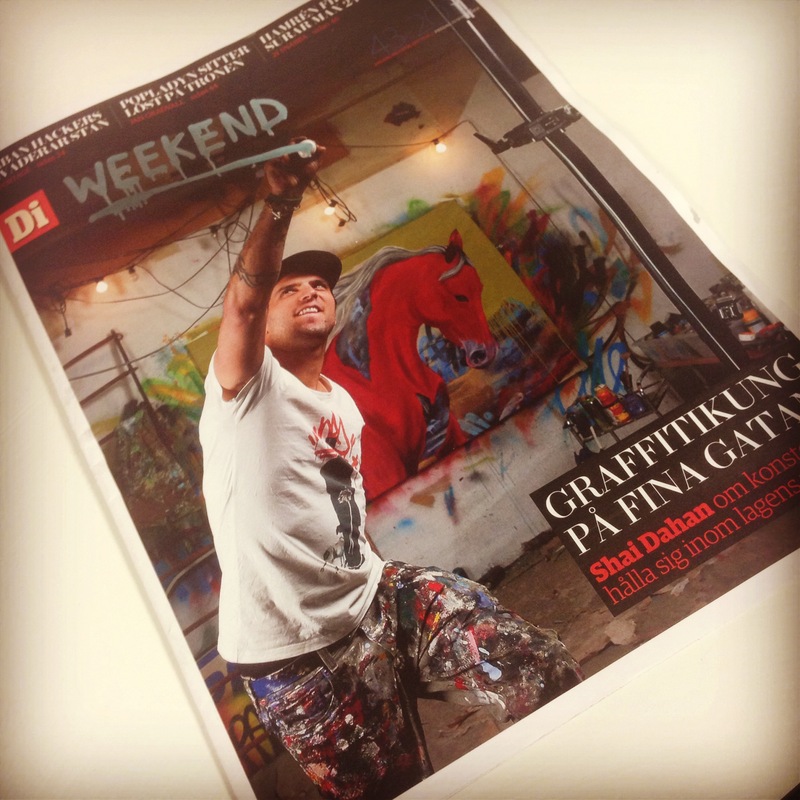 Today our curator Shai Dahan is featured in DI Weekend (Dagens Industri, weekend edition) with 6 pages and cover storie. A lot of talk about the love of art, street art in particular and of course No Limit Borås. Unfortunately the article is behind a pay wall on DI and only available in print and online for subscribers. We give you a sneak peak here and hope that you´ll rush to you local newsstand to try to get a paper.